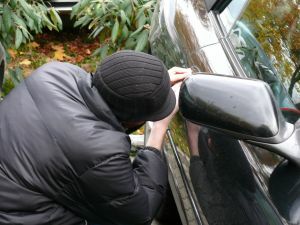 Due to the introduction of such devices as Lowjack and may other different auto theft deterrent devices, car theft has diminished for the fifth straight year and in 2008 recorded the lowest rate in over twenty years. Recovery rates for cars that are stolen are approximately ninety percent for those with good traceable deterrent systems and approximately fifty-eight percent for those without that type of system. The only state that actually recorded a higher percentage of cars stolen last year was South Carolina. Insurance providers and purchasers alike can breathe a great big sigh of relief as the financial burden of stolen cars can be reduced for both parties. These vehicles generally have minimal security and there are a very large number of them on the road. The stolen vehicles provide cheap parts in large quantity on the black market. If you drive one of these vehicles, it is highly recommended that you install some sort of traceable security device in order to not only deter thieves but also improve your chance of recovery before the vehicle is damaged beyond recovery. This type of device can also help lower your insurance premiums.